This feature allows for the creation of a hierarchy structure for reporting, such as store locations, office locations, districts, divisions, national managers, regional managers, etc. 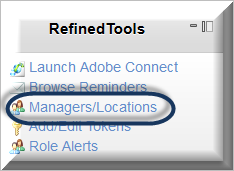 Using Managers and Locations allows you to assign users to a specific location and/or manager. Manager: the LMS allows teachers of courses special access to the students they teach. In the corporate world, these capabilities are needed by an employee’s manager. With this feature, Managers now have the ability to manage their team independently through generating reports, editing their profiles, tracking their activity, or being notified when they reach key milestones. Location accommodates the multi-dimensional nature of the corporate structure: an employee has a manager, and a location. For example, Managers may report to a regional manager and the storeowner independently of the another. The Locations and Managers features function very similarly, therefore, they are treated the same in this article. First, if you are using tokens and wish to assign users to managers or locations at the same time that the user applies the token, select yes. 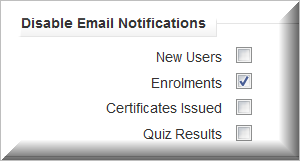 Then set whether managers are notified each time one a new user is assigned to them (New users) or when one of their employees enrols into a course (Enrolment), takes a quiz (Quizes) or receives a certificate (Certificates). Notifications are emailed to the employee’s manager, and any manager in the hierarchy. If the employee is also part of a location, and that location has managers, then that set of managers receives the notification as well. The default for each of these is no and must be enabled if you want the notification to be sent. These settings can be overridden based on individual managers, which we will cover shortly. The next step in setting up your system to use Managers / Locations is to determine the level of intricacy you want your system to operate with. For some sites, only managers are used, and locations are not relevant. For other sites, the reverse is true. 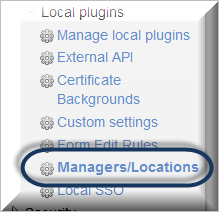 The Manager / Location editor from the Browse Locations menu. The Add a new user screen. The User edit profile screen. The first three fields refer to whether the Location fields are available at the three locations mentioned; the following three fields refer to the Manager fields. When any box is checked (is enabled), the field will be shown and is editable on the page to create or edit a manager or location; when the box is not checked (is disabled), the field is not shown on the creation/edit page. 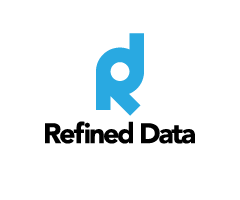 If the Manager is already a “Moodle User” (authenticated user) in your LMS, select their name from the drop down menu or insert their ID number; the related fields will be greyed out because they are referenced from the profile of that user. 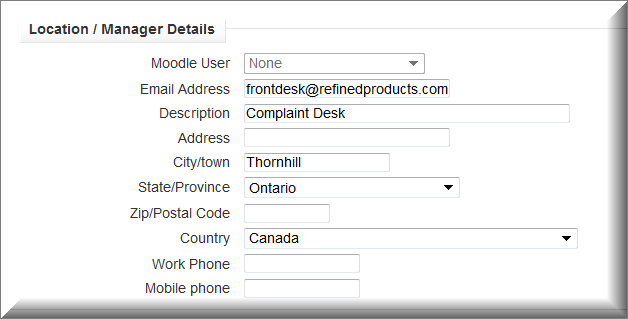 For Locations, fill in the email and other fields as needed, however the Moodle User field is disabled when location is selected. For information on the reports that Managers can access, see the article Managers and Locations Reporting.